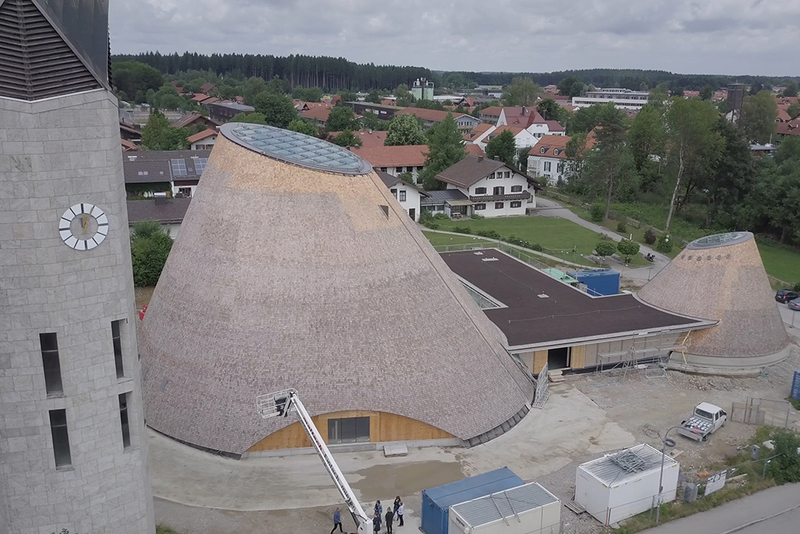 Vigorous, bright and ecological: a spectacular wooden church is under construction in Holzkirchen near Munich. INTERFORST talked with its architect Eberhard Wimmer. What makes wood as a raw material so interesting for him? One fact is clear: the use of wood from sustainable forestry is absolutely climate-friendly—and timber construction is in vogue. The interview took place locally on the Green Couch which otherwise offers space for discussions on trend topics in the midst of the trade show activities. Mr Wimmer, you are the architect of the St. Joseph Church in Holzkirchen, which will be completed next winter. What makes this building so special? Churches are spaces capable of giving meaning. There is great creative leeway because in spite of all recognizability each era and each religious orientation would like to bring forth its own, contemporary sacred buildings. The special feature here is the conical shape, the visible half-timbered structure, the oneness that the walls form with the roof, and the dynamic interior. The conical design opens up spectacular perspectives. What is the underlying creative idea? The liturgical functions, the congregation gathered in a circle around the altar and the light falling in from above result in a conical envelope as if by themselves. By analogy with the tent, the cone is an archetypal architectural shape; at same time, it is contemporary and unjaded. 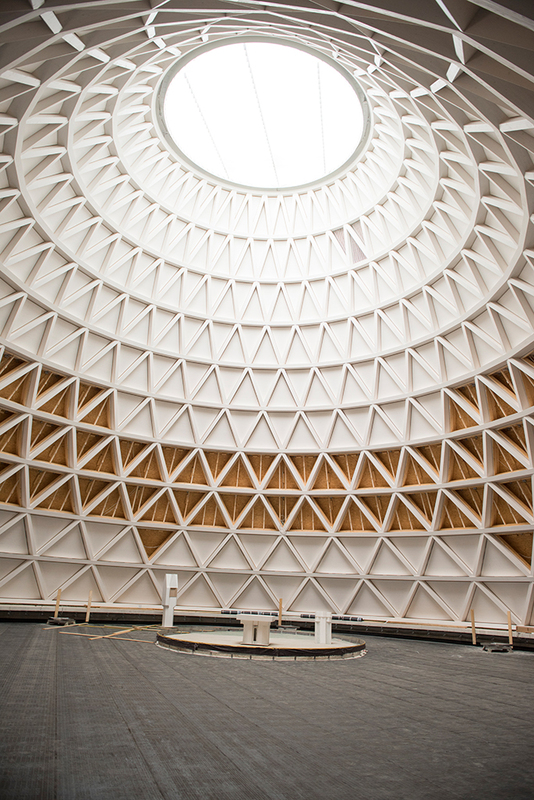 The church consists of wood—why? Concrete and steel were unsuitable for several reasons. 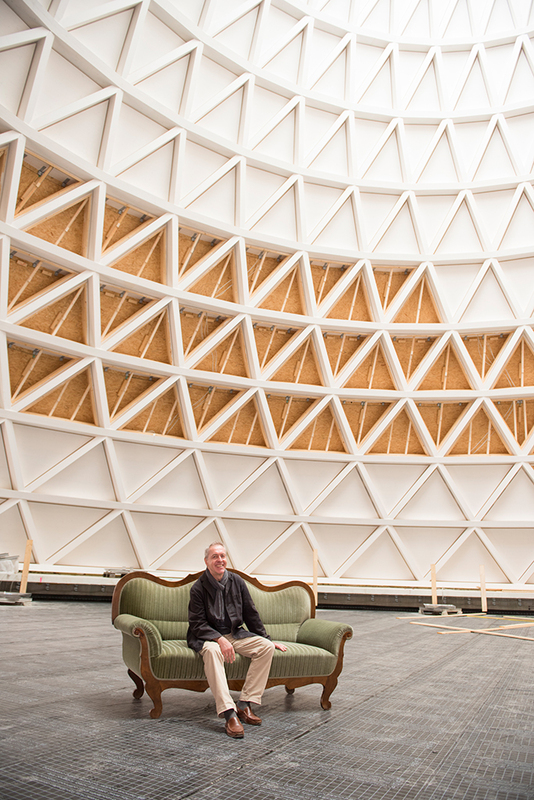 The pillar-free, conical room shell covering a floor space of around 850 square meters could be realized at lower costs by means of a timber construction. The expressive materiality, the immediate acceptance and the feeling of security conveyed by wooden structures were also decisive factors. In addition, wooden structures with triangular spaces between the timber frames are widely used in Bavaria. Fish traps and baskets have been braided like this for centuries and captivate by their diverse forms and fine wickerwork with stabilizing rings and diagonals. What makes the building ecological? We have used regional wood, primarily spruce wood planks from Central European forests, as well as beech for the timber-frame nodes and larch shingles for the conical roofs. The church is a low-energy building with passive energy use. We undercut the values of the German Energy Saving Ordinance by up to 28 percent. In the cones, we use natural upwind dynamics for ventilation; the underfloor heating is supplied with geothermal energy, the floor plate serving as a thermal storage mass. Further attributes are economical LED luminaires, greened flat-roof areas and trench systems for rainwater leaching. Moreover, we have looked for simple technical solutions in principle in order to ensure durability. Do you prefer certain types of timber—and why? The wood of conifers, which are fast-growing trees, is primarily used for structural timberwork. We have used larch roof coverings. In places, we have used oak wood for reasons of design or fire protection. What importance do you attribute to wood as a raw material in general? That is an easy question to answer. Do you know a raw material that is renewable and has a similar overall ecological balance and can be used as a material in such a wide range of applications as wood?